Enovsys filed a patent infringement lawsuit in Los Angeles against AT&T Mobility for infringing two patents: (1) US Patent No. 6,560,461, titled “Authorized Location Reporting Paging System” (“the ‘461 patent”), and (2) US Patent No. 7,925,273, titled “Method and Apparatus for Updating the Location of a Mobile Device Within a Wireless Communication Network” (“the ‘273 patent”). The ‘273 patent is a continuation of the application that resulted in the ‘461 patent, which means the ‘273 patent has the same invention disclosure as the ‘461 patent but with different claimed subject matter or scope. The ‘461 patent’s invention uses satellites and ground control stations to determine a subscriber’s cell phone location and allows the subscriber to select which users can obtain the subscriber’s whereabouts. The patent also covers relaying the names and locations of nearby stores, restaurants, etc. based on the location of the cell phone. The ‘273 patent relates to a method of controlling the time intervals between updates to the cell phone’s location. 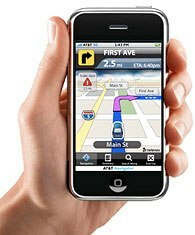 The complaint accuses several AT&T applications of infringing the patents, including AT&T FamilyMap, AT&T Navigator, TeleNav Track, and Xora GPS TimeTrack. Enovsys also alleges that Sprint-Nextel is currently licensing the subject patents in addition to others. The earlier Enovsys v. Nextel-Sprint lawsuit resulted in a jury award of $2.78 million in damages and eliminated the lack of standing defense. In the Nextel case, the Federal Circuit – aside from rejecting Nextel’s invalidity and non-infringement arguments – affirmed the jury’s verdict that the inventor’s ex-wife did not have a community property interest in the patents and did not need to be a named plaintiff. Los Angeles, CA – Jeffrey Campbell is taking an aggressive approach to protecting its shoe designs by recently suing Forever 21 for allegedly copying six of its shoe designs. Last week, Jeffrey Campbell filed a new design patent and trade dress infringement and unfair competition lawsuit against Steve Madden for allegedly copying Jeffrey Campbell’s “Lita” shoe design. Although Jeffrey Campbell did not have any patents for the six shoe designs in the Forever 21 lawsuit, it was granted Patent No. D634,532 for the Lita shoe design. Having a design patent provides greater protection for fashion designs than trade dress alone and the causes of action can always be combined, as Jeffrey Campbell has done here. Campbell claims that Steve Madden’s $169.95 Carnby-L shoe design “is believed to be a copy or knockoff of Jeffry Campbell’s Lita Shoe design.” Steve Madden is no stranger to trademark lawsuits involving shoes, having previously settled with Asics for allegedly copying its stripe design. Los Angeles, CA – Genentech and City of Hope are the owners of U.S. Patent No. 7,923,221 (“the Cabilly III patent”), entitled “Methods of Making Antibody Heavy and Light Chains Having Specificity for a Desired Antigen,” issued on April 12, 2011. Plaintiffs wasted no time suing GlaxoSmithKline, Human Genome Sciences, and Lonza Biologics for patent infringement, which suit was filed on the patent’s issue date. The ‘221 patent claims priority to the Cabilly II patent, filed in 1988, which in turn claims priority to the Cabilly I patent, filed in 1983. The Cabilly III patent is the most recent arsenal introduced into years of patent lawsuits, appeals, and USPTO re-examination proceedings. Details here. The Cabilly II patent was the subject of the landmark U.S. Supreme Court decision in MedImmune v. Genentech, 549 U.S. 118 (2007), which eliminated the “reasonable apprehension of suit” test for establishing declaratory judgment jurisdiction. The Cabilly patents relate to methods for producing antibodies using recombinant DNA. Plaintiffs allege that HGS and GSK have entered into a co-development and commercialization agreement for the development and sale of Benlysta®. Plaintiffs further allege that Lonza Biologics manufactures ofatumumab in the United Kingdom and supplies it to GSK, with knowledge that GSK incorporates ofatumumab into the final Arzerra™ product. The case is Genentech, Inc. et al. v. Glaxo Group Limited, et al., CV11-03065 SVW (C.D. Cal. 2011). 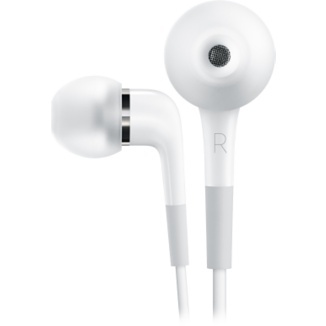 Los Angeles, CA – eForCity Corporation has sued Apple, Inc. seeking the Court’s declaration that its sales of various earphones do not infringe Apple’s Patent Nos. D589,491, D469,753, D596,616, and D515,070. The lawsuit was filed after Apple’s attorneys sent a cease and desist letter accusing eForcity of also infringing Apple’s copyrights by using iPad images allegedly copied from Apple’s website. Further, the letter accused eForCity of infringing Apple’s iPad, iPhone, iPod and Mac trademarks in product descriptions with the ® or ™ symbols and without attribution to Apple. The case is eForCity Corp, et al. v. Apple, Inc., CV11-00808 SVW (C.D. Cal. 2011). Washington, D.C. – The Court of Appeals for the Federal Circuit (“CAFC”) overturned the district court’s finding of non-infringement. After Uniloc won a jury award of $388 million, the district court granted judgment as a matter of law (“JMOL”) of non-infringement and no willfulness on Microsoft’s post-trial motions. Details blogged here. In reversing the district court’s decision, the CAFC found that “[b]ecause the jury’s verdict on infringement was supported by substantial evidence, this court reverses the district court’s grant of JMOL of non-infringement; this court also reverses the district court’s alternative grant of a new trial on infringement as an abuse of discretion.” The CAFC, however, affirmed the district court’s finding of no willful infringement because “the jury’s verdict on willfulness was not supported by substantial evidence.” The CAFC further affirmed the district court’s denial of Microsoft’s motion for JMOL of invalidity. Santa Ana, CA – Peter Van Bregmann is suing Burton Snowboards for infringing on a snowboard binding patent. Plaintiff alleges that in 1996 he met with Burton and after signing a confidentiality agreement, Plaintiff showed his invention to Burton, but it was not interested. On March 2, 1999, Plaintiff was issued U.S. Patent No. 5,876,045, entitled “Angularly Adjustable Snowboard Boot Binding,” which generally relates to a lever system that allows for convenient adjustment of boot bindings, whereby the use of tools is eliminated. 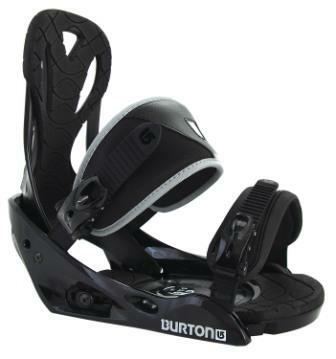 Defendant is accused of willfully infringing the patent by manufacturing a snowboard boot binding marketed under the “Burton Progression Custom Rental Binding” mark. The case is Bregmann v. Burton Snowboards North America, SACV-10-1199 DOC (C.D. Cal. 2010). 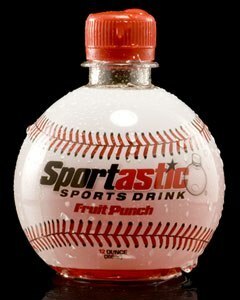 Santa Ana, CA – GT Beverage Company sued The Coca Cola Company seeking Court judgment that its sports-themed shaped bottles did not infringe Coke’s trademark and design patent. Details blogged here. Coke filed counterclaims for trademark infringement and GT moved to dismiss them based on the doctrine of judicial estoppel, which prevents a party from assuming a contrary position after that party “assumes a certain position in a legal proceeding, and succeeds in maintaining that position.” New Hampshire v. Maine, 532 U.S. 742, 756 (2001). Coke obtained its USPTO trademark registration for a sphere bottle design via a global settlement of several legal proceedings (two in Belgium, one in The Netherlands, one in Spain, and two in the U.S.) with a third-party, O-Company N.V. In those cases, Coke asserted arguments of invalidity, non-infringement, and fair use in response to O-Company’s allegations. Based on Coke’s prior litigation stance, GT filed the motion to dismiss on the grounds that judicial estoppel precludes Coke from asserting its trademark infringement claims against GT. The Supreme Court outlined three factors to consider when applying judicial estoppel: (1) whether a party’s current position is clearly inconsistent with its previous position; (2) whether the court accepted the party’s previous position, such that there is the perception that either the first or second court was misled; and (3) whether the party would gain an unfair advantage or impose an unfair detriment on the opposing party by asserting its inconsistent position. New Hampshire, 532 U.S. at 750-51. Santa Ana, CA – Kruse Technology has filed a patent infringement suit against Defendants Daimler AG; Mercedes-Benz USA, LLC; Detroit Diesel Corporation; Freightliner Corporation; Western Star Truck Sales, Inc.; Volkswagen AG; Volkswagen Group of America, Inc., Audi of America, Inc.; Ford Motor Company; Cummins Inc.; and Chrysler Group LLC. The Defendants are accused of manufacturing engines that infringe U.S. Patent Nos. 5,265,562, 6,058,904, and 6,405,704. 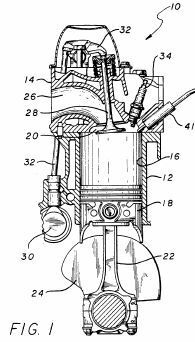 The ‘562, ‘904, and ‘704 patents are all entitled “Internal Combustion Engine With Limited Temperature Cycle”, but have different claims. The case is Kruse Technology Partnership v. Daimler AG, et al., SACV-10-1066 AG (C.D. Cal. 2010). Los Angeles, CA – Baby products maker, Munchkin, Inc., wants the Court to rule that its Snack Catcher product does not infringe U.S. Patent No. 6,656,514 (“the ‘514 patent”). It also seeks declaratory judgment of invalidity. The product at issue is a container with several flexible flaps that form the lid and allow a user’s hand to be inserted through the flaps to pull out a snack. In the event that the container is tipped over, the flaps prevent the snacks from falling out. The complaint alleges that Defendant Venita Tubbs has threatened, via her attorney’s cease and desist letter, Munchkin with a patent infringement lawsuit unless it stops selling the Snack Catcher product. Instead of operating under a cloud of uncertainty, Muchkin has taken matters into its own hands and filed suit to adjudicate this dispute. The case is Munchkin, Inc. v. Venita Tubbs, CV10-4074 RSWL (C.D. Cal. 2010). Los Angeles, CA – Plaintiff Anthony J. Antonious is the inventor of the “Metalwood Type Golf Club Head,” which is the subject of U.S. Design Patent D499,157. Simply put, a design patent covers the ornamental design or aesthetic configuration of a depicted product. Whereas a utility patent covers the way a product works or is manufactured, e.g. 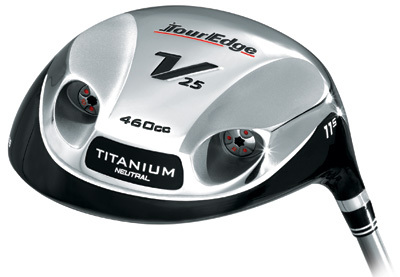 a new club head manufactured to have a larger sweet spot. But I digress. In this design patent case, Plaintiff alleges that Tour Edge’s golf club heads, including the Tour Edge V25, Tour 9 Proto, and Tour Edge Bazooka, incorporate the patented design and infringe the ‘157 patent. Plaintiff further alleges inducement of and contributory patent infringement. The case is Trust of Anthony J. Antonious v. Tour Edge Golf Manufacturing, Inc., CV10-02636 RGK (C.D. Cal. 2010).